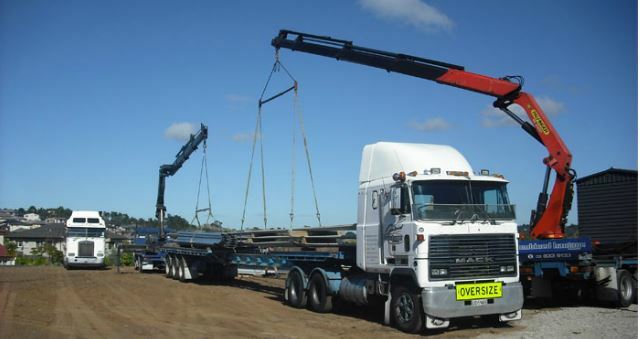 Learn how Combined Haulage improved their business using MyTrucking. Combined Haulage is proudly owned and operated by Rod Adams. The family business is based in Swanson, West Auckland and services the wider Auckland area. Combined Haulage employee six fulltime professional drivers and have a quality fleet of nine Trucks, which are adaptable to multiple situations. Combined Haulage are Hiab specialists operating throughout the greater Auckland area. With a High-Quality fleet of Hiab Trucks & Trailers, equipped with 0-10 tonne lift capability and have up to 26 metres in reach, we also have flat deck semi-trailers in our fleet. Combined Haulage believes that customer service is key to operating a healthy business; we are always willing to impart our knowledge and find our customers the best solution to fit their haulage requirements. How was the workflow previously managed? Initially we were using Diaries, Paper and phone calls to manage our work. Prior to MyTrucking we had moved into the technology arena, using an electronic calendar and text messages. This brought about its own issues with somewhat one way communication. What issues needed to be resolved? We needed to limit the loss of paperwork, and the time taken to get job details returned, and improve our efficiencies on dispatch and the back office..
One of our drivers showed us what he was using for another client, so we did some research and gave MyTrucking a go. At the same time, we investigated another system that was way too complicated and expensive. MyTrucking on the other hand was simple to use and extremely cost effective. How easy was it switching to MyTrucking? The changeover to MyTrucking was so easy, we consider ourselves MyTrucking Sales people now, as we just don’t understand how people can do without it. Where has MyTrucking helped most? In general more time across the business enabling us to focus on other efficiencies knowing we have this part under control. What are the key benefits that MyTrucking provides?? • Dispatching is easier as it has really helped us control the interaction with our drivers. Simple yet powerful time-saving tools to stream-line your business and grow your bottom-line. No training required, every member of your team will be productive from day one. A drivers app that works with iPhones and iPads & Android phones and tablets. Fully integrated with Xero & MYOB AccountRight makes invoicing a breeze. Save time looking for that last used rate, it’s automatically applied. An enterprise add-on enables enterprise based views based on business units. A powerful reporting engine, create and save regular reports, dead easy. Smart sensors such as changing a rated price to fixed simply by entering a total. Preset invoice descriptions save time and typing, captures job information automatically. From a single entry the job flows through to invoicing like magic. Split, copy and replicate loads & jobs, or change vehicles all quick and easy. Accessible from anywhere you have wifi or network connectivity. We’ve been running a fleet of trucks in Australia for many years and as a result, we’ve had a look at many different Scheduling Programs over the years, but nothing has been able to satisfy our particular business practices. With the introduction of MyTrucking, our workplace systems have become more refined and generally more efficient. MyTrucking is a very simplified yet detailed and easy program to run and integrate into our daily scheduling and reporting functions. The reporting functions are really helpful to keep an eye on things, and Sam is very open to new suggestions to help improve efficiency. What is the process from here? After submitting this form we will send you your MyTrucking username and password in an email. We will try to call you, we find a quick 5 min chat to answer any questions you have, makes your trial more beneficial for you. Use the in-app chat feature, all support is free, or call us, a quick 5 min chat usually resolves all the questions you have. At the end of your 14 day free trial you will be asked if you want to continue to use MyTrucking. If you choose not to use MyTrucking your trial account will be removed and you will no longer have access to MyTrucking. A yes response will signal the start of your billing period, you can cancel at anytime without penalty.